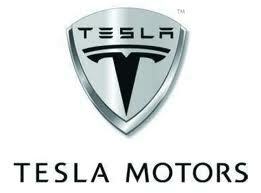 Tesla Motors Inc (NASDAQ:TSLA) has a very long and uncertain road ahead of it, one fraught with the potholes of an uncertain electric vehicle market, and the scattered glass of price points that may be too high for it to achieve the future sales growth envisioned of it by itself and admiring analysts. That according to a piece published this morning by Morningstar analyst David Whiston. Whiston believes the $55,000 to $70,000 price point on the upcoming Model X, which reportedly now has over 20,000 preorders placed for it, as well as the $35,000 price point of the mass-market Model 3 will conspire to keep them from achieving robust market penetration. As he states, those prices don’t even include options, which would further raise the price point. They also don’t factor in the $7,500 federal government tax credit that Tesla Motors Inc (NASDAQ:TSLA) vehicles are still earning, and will continue to earn until they’ve surpassed 200,000 units. However that will likely occur around the release of the Model 3 and dry up when those who could use the credit the most can finally consider purchasing a Tesla Motors Inc (NASDAQ:TSLA) vehicle of their own. Whiston states that while the potential for revenue and profit growth for Tesla Motors Inc (NASDAQ:TSLA) is high, it will also require continued large investments in research and development on their part to maintain, in a continuous effort to stay ahead of the technological curve and keep costs down. Perhaps most sobering is the fact that there’s really no way to predict the mass market appetite for EV’s. Electric vehicles have greatly underperformed thus far compared to earlier estimates from governments and automakers, and there’s no way to know where the ceiling for market penetration will be and how willing the mainstream consumer will be to overlook the range and charging time factors. Tesla Motors Inc (NASDAQ:TSLA) has plummeted more than 4% in early morning trading, shedding more than a billion dollars of market cap in the process. It is currently trading $267.44, down $11.76 on the day.